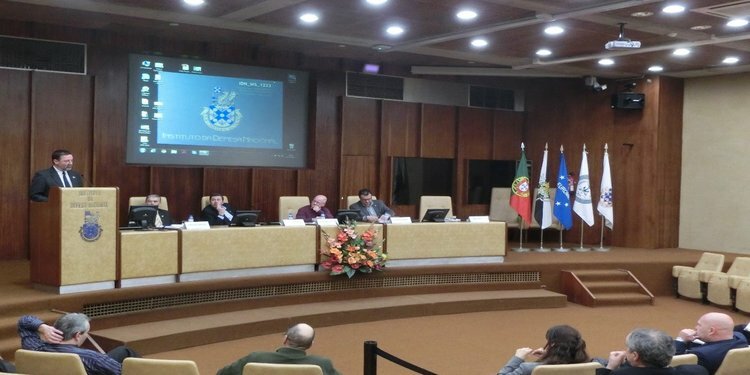 In an unprecedented worthy of note initiative, a colloquium about “Military Recruitment – Challenges and Opportunities” organised by the Portuguese association representing soldiers and corporals (Associação de Praças – AP,) took place on 15 February 2017 at the National Defence Institute in Lisbon. The event aimed at promoting the discussion about the current model of recruitment in the Armed Forces from a military, social, socio-professional and professional perspective. The event was opened by Luís Reis, AP President, and Alberto Coelho, General-Director of Resources of the National Defence. Divided in four discussion panels, two in the morning and two in the afternoon, the issue of recruitment difficulties and future career perspectives, were only some of the main topics. With the presence of high ranking military and civilian specialists with responsibilities in personnel matters, the discussion was interesting and strongly showed how professional associations can help in the discussion of important issues concerning national defence. In the first panel of the afternoon, Antonio Lima Coelho, EUROMIL Board Member, presented the example of military service in some European countries, namely in Belgium, Cyprus, Denmark, Germany, Hungary, Ireland and Spain. The event was closed by the three Presidents of the Portuguese professional military associations AP, ANS and AOFA. The detailed agenda of the colloquium is available here.